Call us today for auto glass replacement services! Do you need a small auto glass repair or an entire auto glass replacement? When you need any windshield glass repair in Lancaster, NY or any of the nearby areas, you need the help of the experienced professionals at M D Auto Glass. 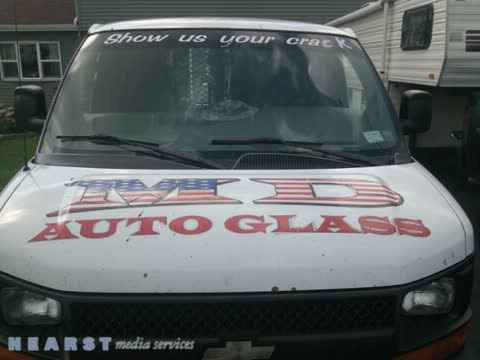 M D Auto Glass provides an array of convenient services including a free mobile service, the highest quality of glass and other products, and reliable and affordable auto glass repair and auto glass replacement. Their fully insured technicians always provide exceptional customer service with every windshield glass repair and by educating customers on the importance of proper auto glass replacement. Offering quality windshield glass repair services! It isn't uncommon to have small stones or loose debris hit your windshield while driving. Often times, this can cause your windshield to chip or crack. Don't let these small chips become larger problems! With the help from M D Auto Glass in Lancaster, NY, you can receive quality windshield glass repair services in a timely manner. Whether you need them to come to you or you drop your car off at their shop, you will be impressed with the service you will receive. M D Auto Glass strives to supply Lancaster, NY drivers with the safest auto glass replacement and auto glass repair services around. From repair, to replacement and installation, you and your family's safety is the number one priority at M D Auto Glass. They can perform an auto glass replacement on all glass including windshields, back glass, door glass, and side glass. They utilize the most advanced state of the art equipment and technology to meet and even exceed OEM standards. After receiving a windshield glass repair from M D Auto Glass, your vehicle will look as good as new. Other than providing the best in auto glass repair, windshield glass repair and auto glass replacement, the highly trained professionals at M D Auto Glass can offer much more. They can take care of anything from stone chips, door molding and leak repairs at a very small cost to you. The certified technicians at M D Auto Glass can come to you no matter where you are in Lancaster, NY. The shop offers mobile units fully equipped to handle your auto glass replacement and installation on site. No matter the service you need with M D Auto Glass, whether it's a minor or major auto glass repair or a small ding removal, they offer the attention to detail and excellent service to reassure your safety and full satisfaction and affordable prices! MD Auto Glass offers a variety of services in the Lancaster, NY area. With 21 years of experience and backed by many happy customers, our auto glass is the go to shop. We provide auto glass repair services to all types of vehicles, foreign and domestic, exotic and classic. Do you need auto glass replacement services? No problem. When your windshield cannot be repaired with simple filler, then we can offer auto glass replacement services. Can't get to us? We offer free mobile services! Call us today for the best windshield glass repair services in the area. We are fully insured to protect you, your vehicle and our business.